This tutorial shows you one of the most powerful ways of pre-determining what products or business ideas can be successful. It explains how to use the Adjacent Possible Theory to create and innovate products that will be successful. Many people fear that Artificial Intelligence (AI) one day will take over the world – i.e. humans. Hey dude, yes you Elon (Musk), you need come back home to South Africa. Some time ago, we got an email from SAPPI ordering copies of my second book TOWNSHIP BIZ FASTRACK for their incubatees in their community training centres. This is how the story gets interesting – and touching for me (not to say the other stories from our clients are any less). At first Sappi bought 10 copies of the book on Amazon to give to its incubatees and to see if it helps in teaching them entrepreneurship. Go back. What stood out for you as a kid when you first heard the story of Jesus Christ? What feeling did you get; what feeling do you even get today? I will come back to this later. Black Panther is good for the economic growth of black people. In a big way, it adds to the reversal of the century-plus brain wiring (epigenetics) of slavery, colonisation and apartheid. Slavery, colonisation and apartheid said we were not good enough and we should be subservient to the white man – and employed genocidal mechanics, i.e. mass killings, plundering lands, enslaving, castrating, plagiarising African hero stories, calling our ways heretic and heathen. I am sure you are wondering what is this link between slay queens, bitcoin and cryptocurrencies which the title of this article is alluding to. I am happy to announce that Startup Picnic is back. The people consistently demanded it, and here we are. It’s on the 7th of April 2018 at the CSIR Sports & Recreation Club in Pretoria. Use discount code/coupon #tiisetsomaloma and get 20% off on the already discounted Early Bird Tickets of R100. Purchase your tickets at Quicket.co.za. This code runs until 10 March 2018 or until this coupon’s tickets run out. 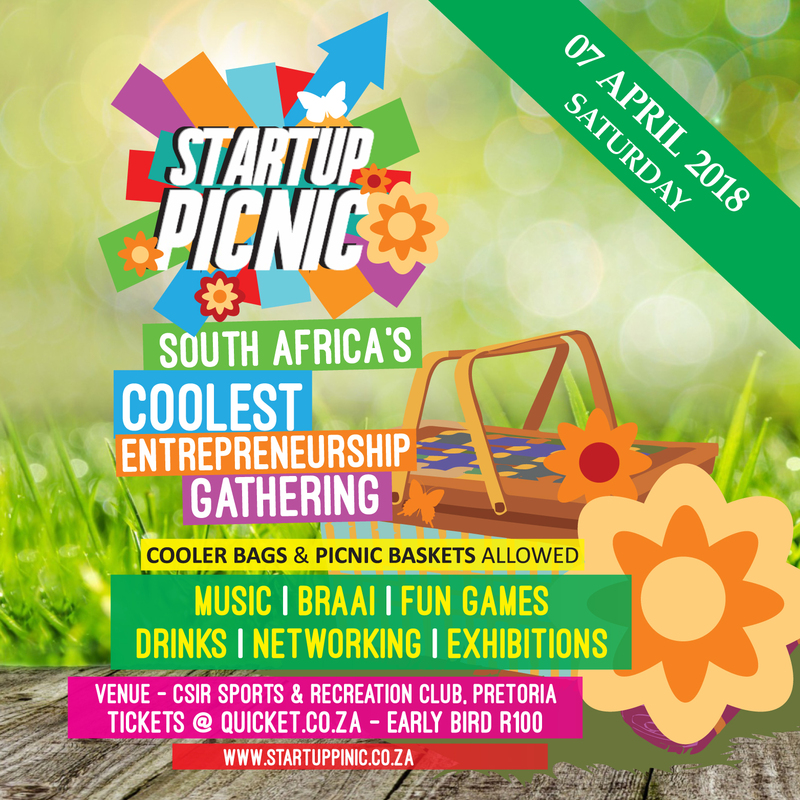 Come relax, blow-off-steam and have fun with other entrepreneurs over braai, drinks and garden games.